UPDATE: If you missed our free webinar catch up on our recap of the best tips for Training for Alpine Sportives. 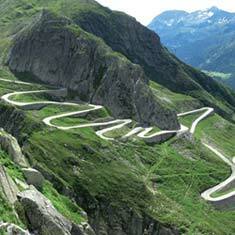 Training for a sportive in the Alps this summer? Bit worried about the hills? Weather hampering your training plan? Join Brevet and Dig Deep Coaching for a FREE webinar and interactive Q&A workshop that will help you prepare for your Alpine sportive challenge. Spaces are strictly limited and if you can’t make the time and date you can register anyway and watch the webinar at a later date. The team at Dig Deep Coaching are going to help you understand how to prepare for your next Alpine cycling adventure using structured and focused planning, helping you develop a fitness base to enable you to tackle the high mountain passes and enjoy the experience. We look forward to helping you increase your knowledge and improve your own preparation. This free webinar is brought to you by the team at Dig Deep Coaching. Head coaches Stephen Gallagher and Dan Fleeman, former pro riders in Europe, are the leaders of a worldwide coaching team that enable amateur riders to surpass their expectations. All webinar attendees will qualify for a special cycling coaching offer.